I have been planning on doing a real wedding series for a while now, so I thought there was no better way to start than with my best friends wedding. 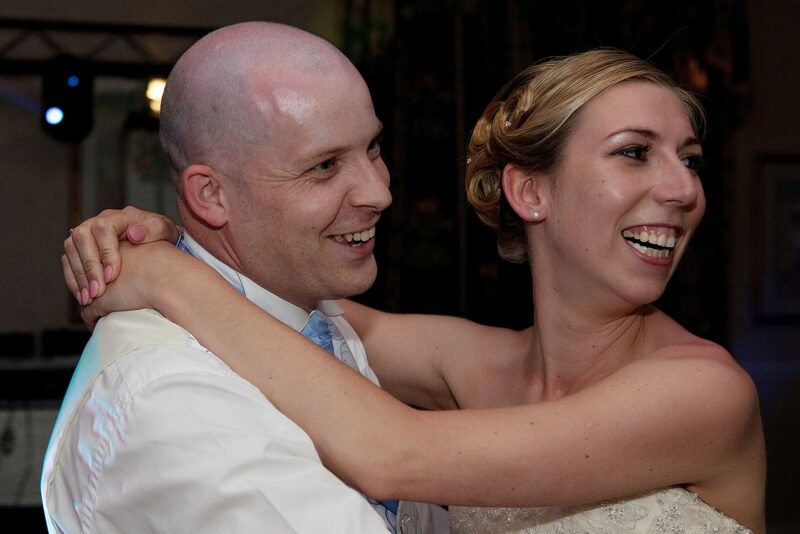 Charlie and Stu had been together for 5 years, when they got engaged on 1st July 2010. It was something lots of us thought would never happen, including Charlie. They had already been living together for 4 years and had just had their second son. Having almost a 2 year engagement before the big day in May 2012. Charlie decided to book the wedding on Stu’s birthday so he would not be able to forget their anniversaries in the future! 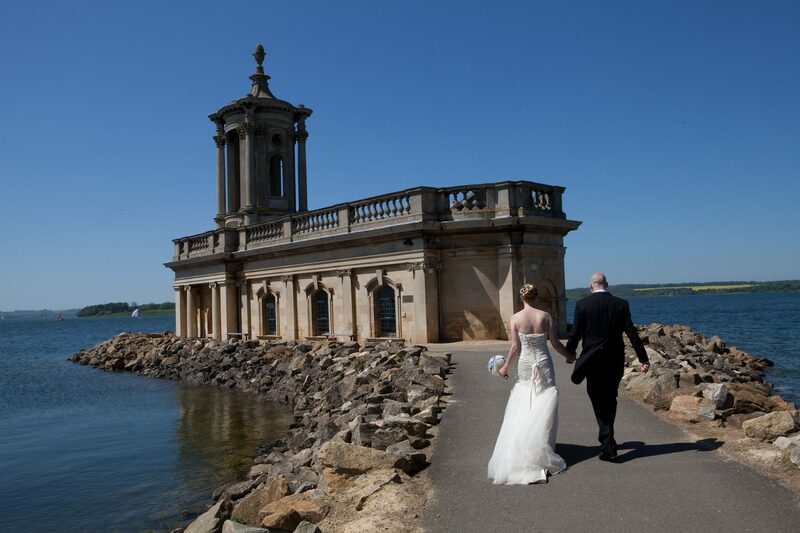 Having chosen Barnsdale Hall Hotel, a beautiful location right on the edge of Rutland water. 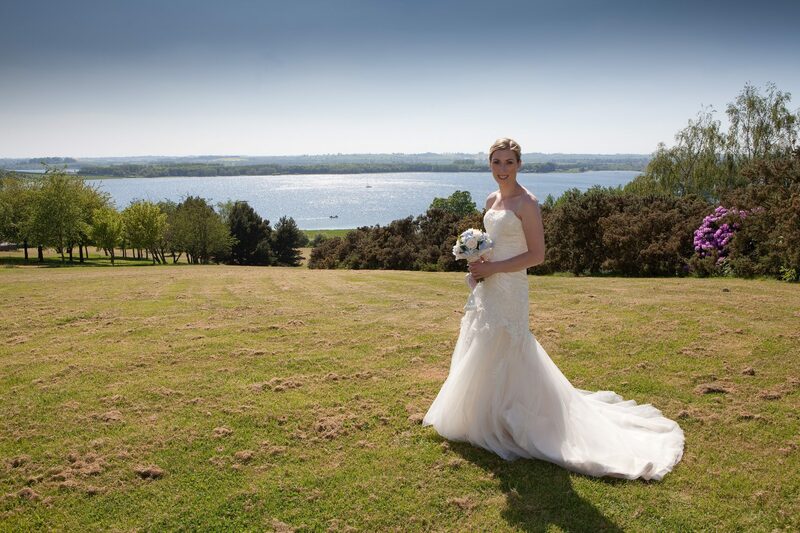 They opted for a civil ceremony that took place in the Edith Weston Suite, within the grounds of the Hall. With the beautiful sounds of a violin and a flute, playing Pachelbel’s Canon in D, as Charlie walked down the aisle. Accompanied by her Dad, Maid of honour (which just so happened to be me) and Mia, her 6 year old flower girl. Charlie wore a stunning fit and flare lace gown by designer Maggie Sottero. 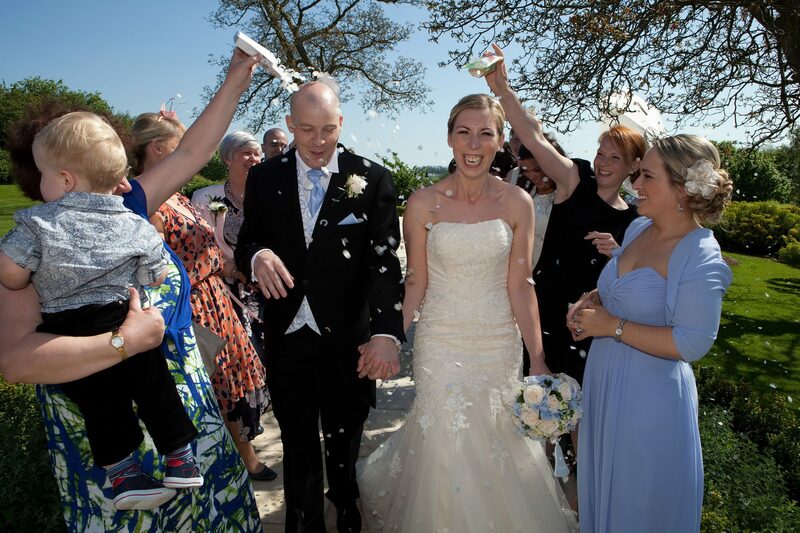 The gown was lined with a champagne coloured taffeta and had a beautiful ivory lace overlay, with a long tulle train. Along with ivory shoes and a crystal hair brooch that sat along side her vintage style up do. Make-up was completed by a lovely local make up artist, who also completed make up for Charlie’s Mum and me. 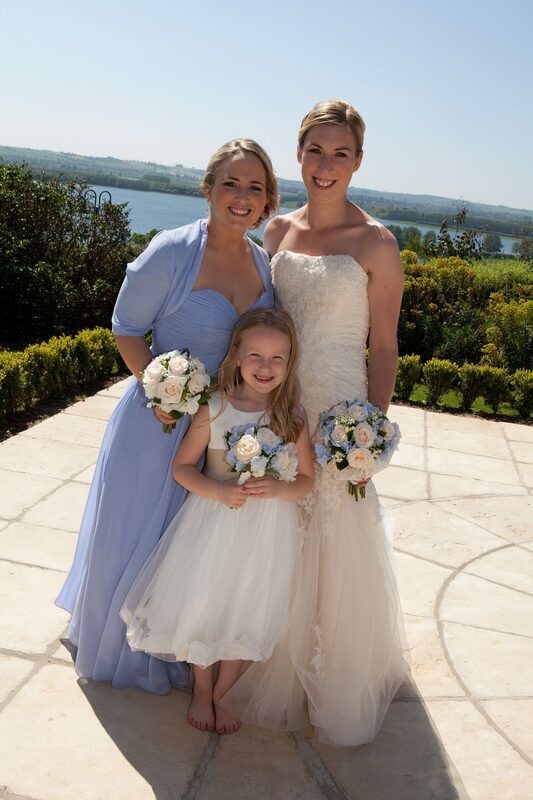 Charlie’s bridal party was made up of her maid of honour and a flower girl. I wore a stunning cornflower blue full length dress. I carried a posey of peach Vendela roses with ivory flowers that were hand tied with beautiful lace. Mia her 6 year old flower girl wore a Next ‘Occassion’ dress with floating petals layered into the dress. 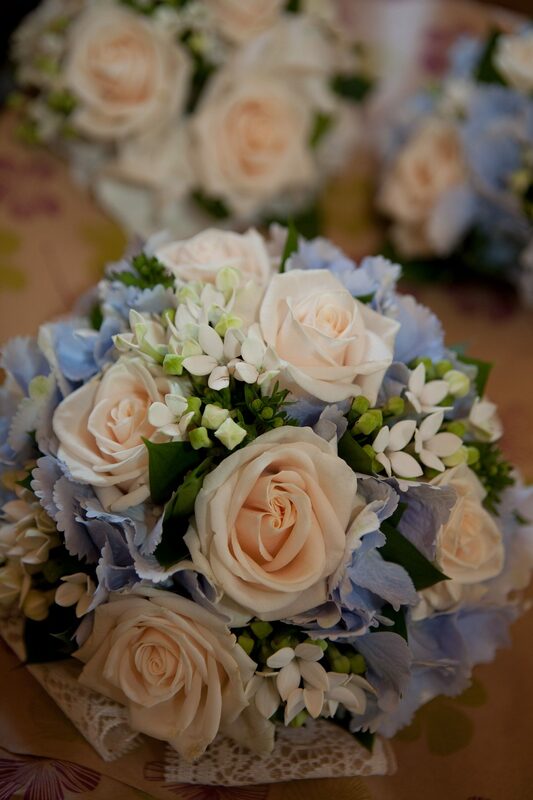 Mia carried a mini posey of blue hydrangeas and peach roses that matched Charlie’s. 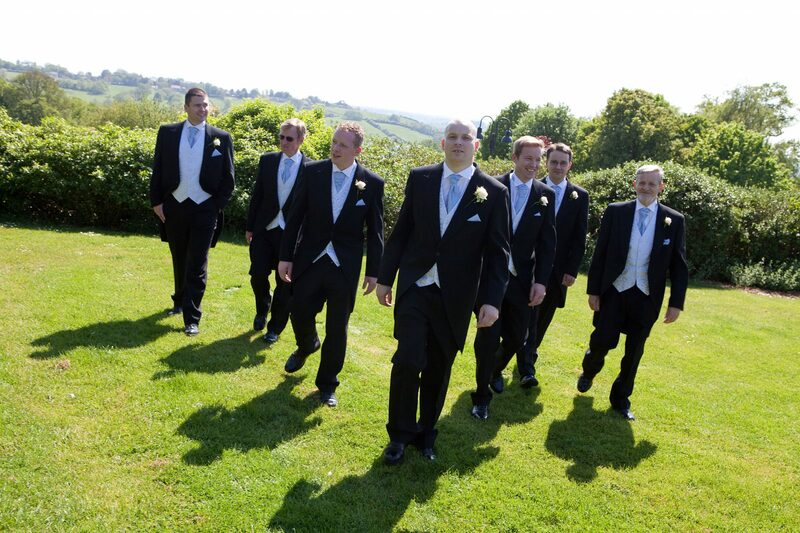 Stu opted for 2 best men, Matt and Richard, they had all been best friends since childhood. Stu’s Brothers were both Ushers for the day, along with Stu and Charlie’s Dads completing the grooms party. They wore matching black morning suits with cornflower blue cravats and ivory waist coats, their button-holes were made of ivory roses. 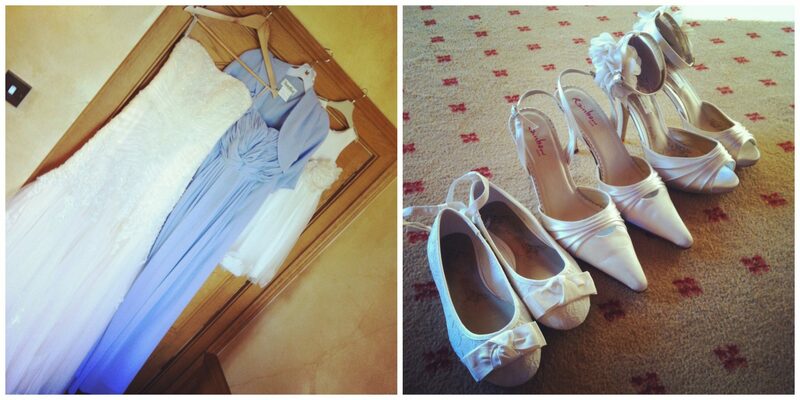 Charlie and Stu opted for a cornflower blue and ivory theme, with a vintage feel. Setting the tone of the wedding with an ivory and blue invitation. The flowers were blue hydrangeas and ivory and peach Vendela roses. Along with candelabras as the table centres with blue and clear crystals scattered on the tables. Each of the tables were named after different types of roses. The top table being Vendela which was the rose used in the bouquets and button holes. The name place cards were hand written by Charlie, they all had little blue roses on them, tying to the colour scheme. The children were kept entertained with personalised activity packs. The Wedding breakfast was a 3 course sit down meal consisting of smoked salmon and prawns, Charlie’s favourite starter. Followed by a main course of roast beef and all the trimmings and a delicious cheesecake for pudding, Stu’s favourite. Guest sat at round tables of 8 people with a traditional top table, of parents, maid of honour, best men and of course the bride and groom. The beautiful wedding cake was made up of 3 tiers, each tier being a different flavour. One fruit, one chocolate and one lemon. 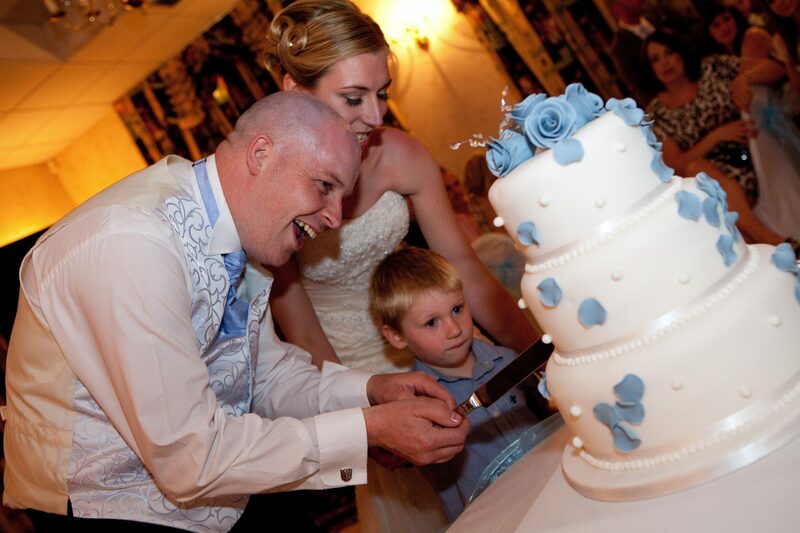 It was covered in ivory icing, topped with roses and trailing cornflower blue petals. The style of the cake complimented the look of the wedding and tasted delicious, it was even served at a BBQ the following day. As it was Stu’s birthday he was given a transformers birthday cake during the speeches and everyone sang Happy Birthday to him. Charlie and Stu finished off the lovely speeches giving out gifts. The groomsmen where all given transformers cufflinks. While the mothers were given beautiful floral bouquets. I was given a lovely rose pandora charm for my bracelet while Mia was given a charm for her nominations bracelet. Their evening guests where welcomed with a yummy hog roast, that was cooked all day outside, along with drinks and a great disco. To keep the children entertained throughout the day and into the evening there was a bouncy castle, which was a brilliant idea. It kept the children busy and allowed the parents to sit around it on the outside tables and enjoy the day. 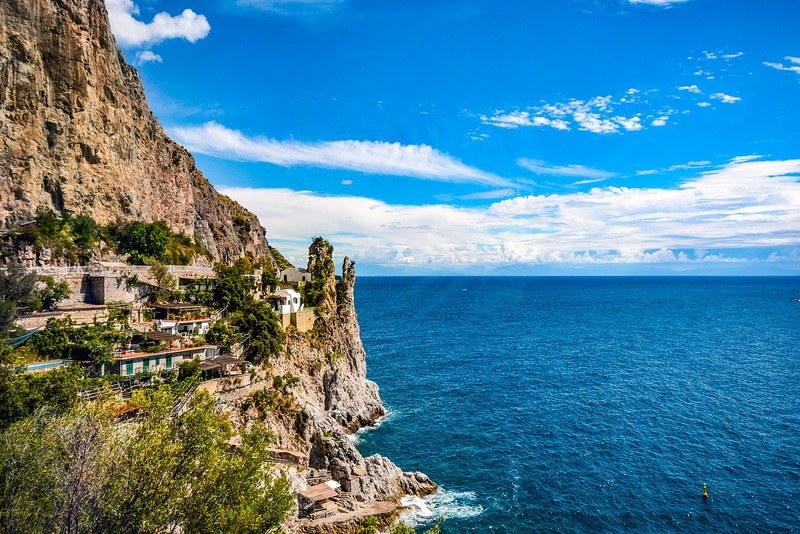 Charlie and Stu spent a week in Sorento in Italy. Opting for a stay in a luxury hotel for a child free week, while their children stayed at home with the Grandparents. They are hoping to return for their 10th wedding anniversary. 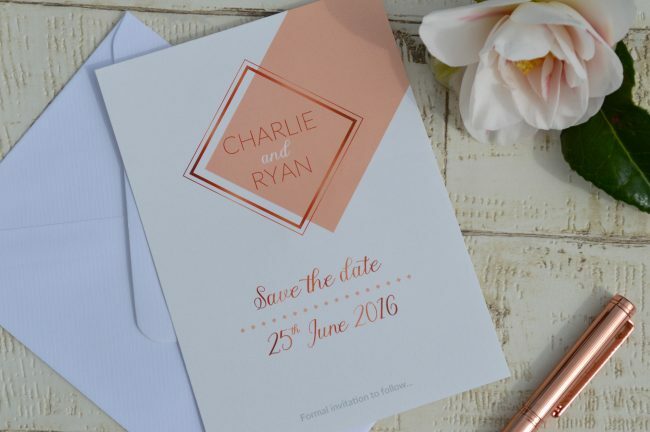 When planning your big day I think a wedding invitation is important. 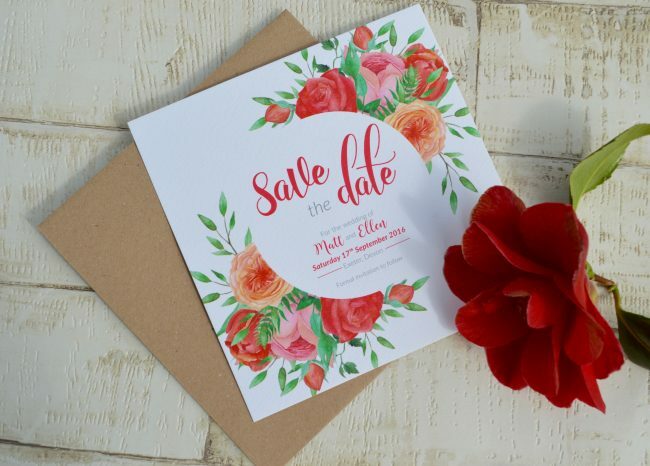 Unless you are sending out save the date cards it is the first snippet of your wedding theme that your guests get to see. I feel like they set the scene for your wedding. 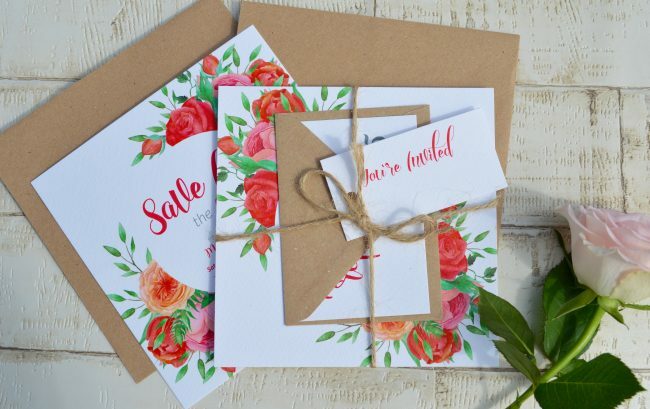 There are so many wedding invitation suppliers out there that finding the perfect one isn’t always easy. Having a recommendation is important, or even finding someone who will send out sample packs for you. Even if you have to pay a small fee, I would highly recommended doing this. Having the sample means you are able to see what the quality is like before placing a large order, and it not meeting your expectations. I recently came across Borrowed and Blue Design over on twitter. 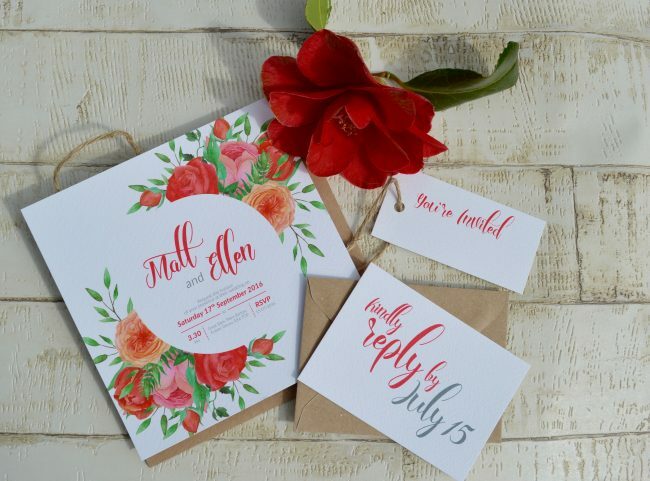 An on-line wedding stationery shop. Designed and owned by Hayley, a professional graphic designer, who kindly offered to send me out a couple of her sample packs to have a look at. Borrowed and Blue Design stock an ever growing range of house designs. The popular house designs are all personalised for you, with some changeable elements. 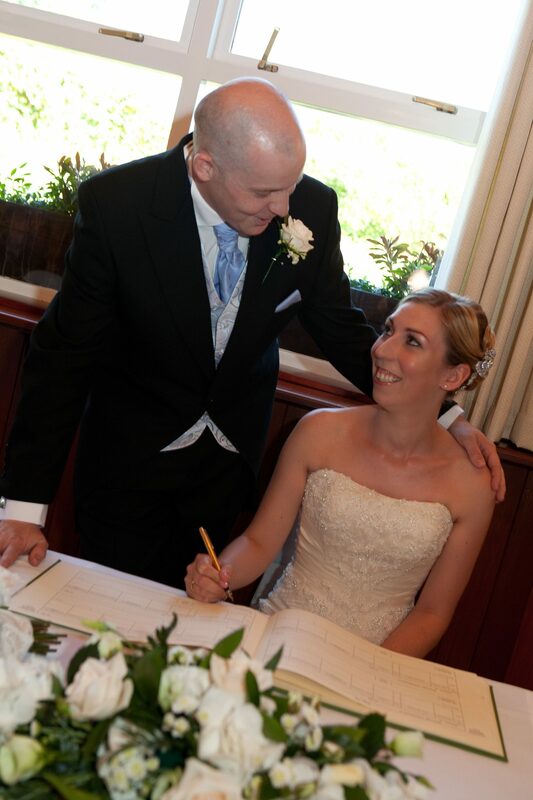 There is also a bespoke service, designing wedding stationery that is completely customised for you. I was sent two different styles. Both quite different from the other. This beautifully floral design was the one that caught my attention on Twitter. It all arrived bound with twine. 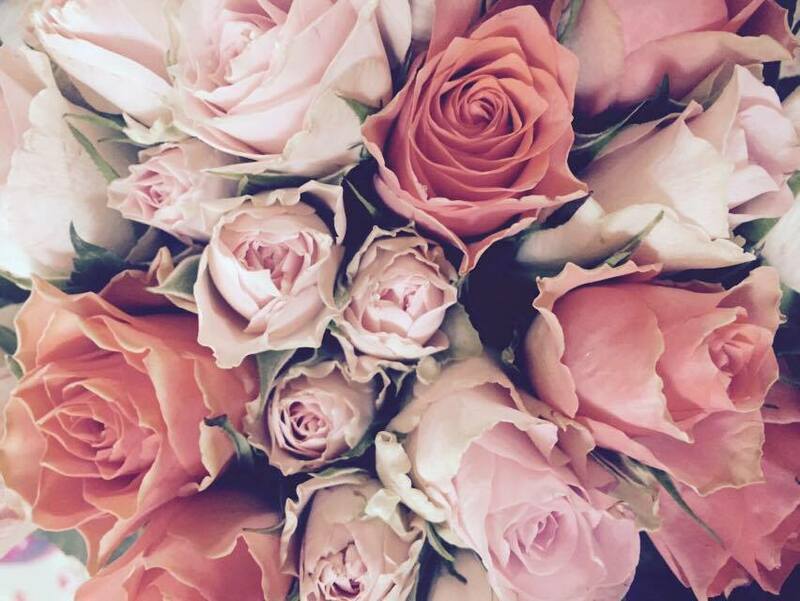 Pretty red, pink and peach shades of roses and peonies. The quality of these cards can be felt straight away. They are slightly textured, which gives a vintage vibe. Set as a square invitation and save the date cards. They arrive with vintage feel unbleached kraft envelopes. The pretty invite arrives with bound with lovely twine and a ‘you’re invited’ tag. In addition there are RSVP cards and matching envelopes, making sure your guests can easily reply. I really like this design, I can see it fitting in with almost any wedding that has floral vintage feel. Perfect for summer weddings. With prices starting from just £0.45, you are able to mix and match the different elements to suit your wedding style and budget. Chic Celebration is a more chic, contemporary design and colour way. Peach shades with copper tints throughout and geometric patterns. It’s an eye catching glamorous style that really works well together. The quality is of Chic Celebration is beautiful, printed on to pearlescent card, with a smooth finish. All coming together with a pretty peach coloured ribbon. 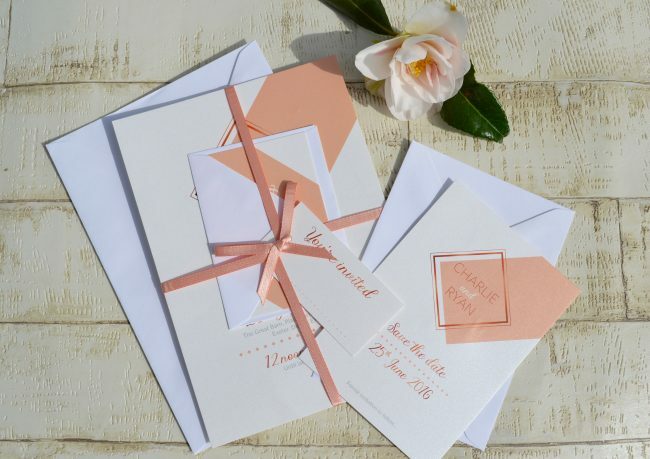 Chic Celebration comes with plain white envelopes which makes the invitations really stand out. I love that it gives a timeless feel to your wedding stationery. 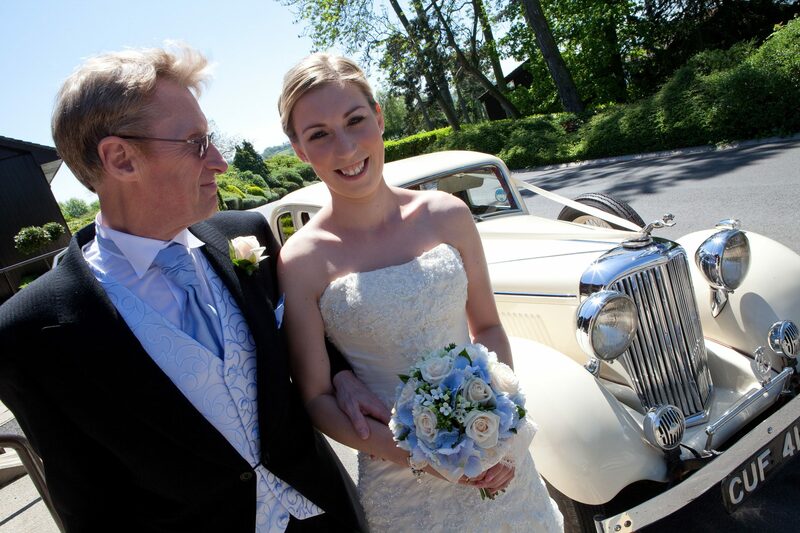 However, if the colours are not quite how you would like them, then it can be changed to match your wedding colours. 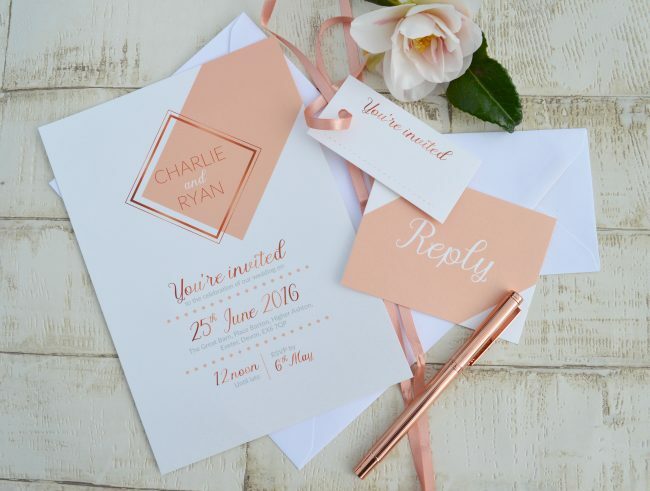 With the prices starting from just £0.70 for the ‘you’re invited’ tags. Again, you are able to choose the elements that work for you and for your wedding. Hayley at Borrowed and Blue Design also offers a wonderful bespoke service allows you to create a design that is personal and unique to you. Hayley will work with you every step of the way to help design the perfect stationery that meets all of your requirements. Using the bespoke service means that you have a blank canvas to work from. The colours, the fonts, the design. All the way down to the finer details, like the ribbon or the envelope liners. You get everything possible with this wonderful service. Borrowed and Blue Design are offering my lovely readers a discount of 10% off your order, just use the code Champagne10 at check out. If you’re someone that regularly invites guests over, then you’ve probably already made some adjustments to your home that focus on making it feel more welcome. Perhaps it’s extra storage space and coat hangers for visitors, maybe you’ve spiced up the guest bathroom to make it more inviting or maybe you’ve gone as far as to include some hotel-like extras in your guest room. Either way, making your home more inviting can easily be done with the right help. Whether it’s repainting the living room walls or stitching up a hole in the upholstery of your sofa, make sure you repair all the little bits in your home that need a bit of updating. It’s important to try and keep the quality of your home consistent all throughout, and starting with simple repairs and fixes is a good way to put the focus on detail. You don’t have to throw out your existing sofa, but if you want to make your home more inviting to guests then you’re going to need a larger area for your them to lounge in. You can get more armchairs, you can get a larger sofa that comes with an additional ottoman or you could open up the living room area to make it feel more spacious. One of the important design tips here is to try and keep a consistent colour scheme and theme across all of your seating arrangements. This is because you don’t want armchairs or sofas to look different or stand out, you want everything to have a similar colour palette so your guests don’t feel like an armchair or section of your seating arrangement is reserved or personalised. If your kitchen and living room are in the same room, then make use of it as a social area. Get some leather bar stools to encourage your guests to sit at your breakfast table and interact with you while you fix up some drinks or cook food for them. You don’t want them to stand around and get in your way while you cook and you don’t want to force them to stand up either. Guests want to feel like they’re not intruding too much, so if you place lots of personalised items on the tables or fill the sofas with little decorations and extras, then it’ll be hard for them to find a place to sit down or put their things. 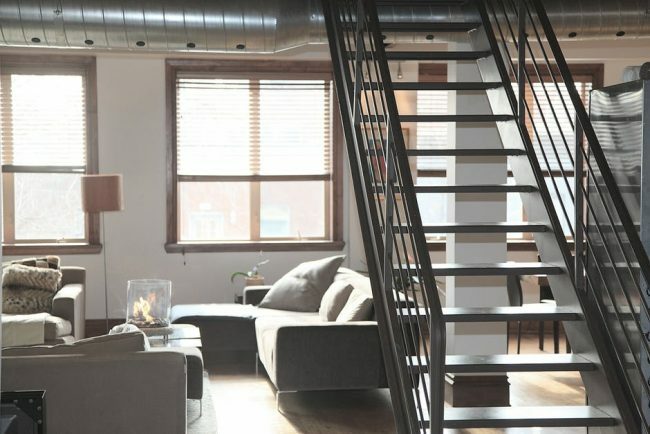 Open up your home a little more by decluttering it as much as you can. 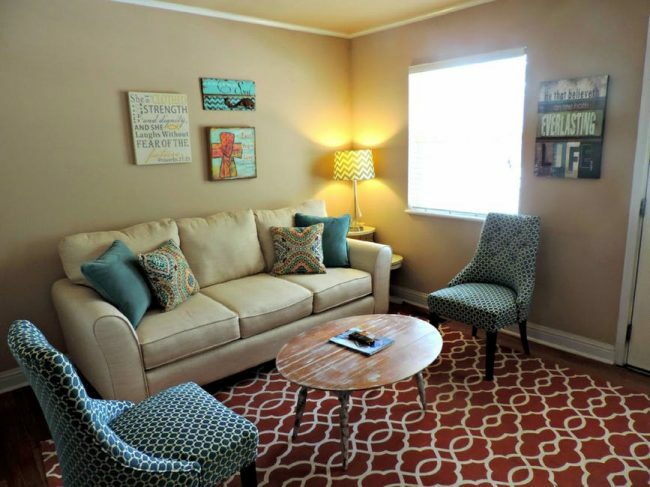 You’ll find that the clearer your home is, the more inviting your home will be to your guests. No one wants to walk into a messy room either, which is something that could put off guests from visiting again in the near future. Clean your home bit by bit and you’ll find it’s fairly easy to keep it clear of clutter.